Nothing like a little vote and run. 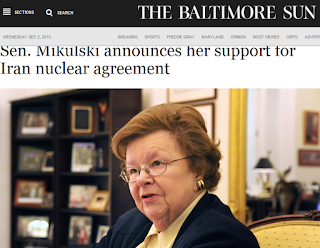 Sen. Barbara A. Mikulski of Maryland announced her support Wednesday for the pending nuclear agreement with Iran, offering the last vote President Barack Obama needs to ensure he can sustain a veto if Congress rejects the controversial pact later this month. Mikulski, a Democrat who is retiring at the end of her current term, handed the White House a symbolic victory, at least, with her decision to vote for the deal. She became the 34th Democrat to support the agreement, depriving Republicans of the votes needed to override a veto. "No deal is perfect, especially one negotiated with the Iranian regime," Mikulski said in a statement. 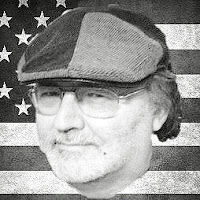 "I have concluded that this Joint Comprehensive Plan of Action is the best option available to block Iran from having a nuclear bomb." Mikulski seems to favor the idea that any deal is better than no deal. That philosophy is terribly flawed when it is applied to pretty much anything.